The server takes place in part of Azeroth known as the Doldrums. The Doldrums has existed since anyone has known. It’s full of islands and people from across Azeroth that were sucked in at some point in the past. No one seems to know how to escape and the rules of nature and magic seem to behave differently. The Cataclysm/Shattering made the rate at which people and things entire the Doldrums ramp up significantly. The server takes place right as this incident occurs and people have to forget a new life, trapped in these strange lands. It is 28 years after the First War. The Shattering has just occured. Deathwing, Neltharion the Earth Warder, the so-called Worldbreaker emerged from Deepholm at the Maelstrom. Driven to the brink of insanity by the Old Gods, his rage reshapes Azeroth in a single day. The launch of the Doldrums takes place roughly 3 days after Deathwing’s return from Deepholm. All canon warcraft events prior to ‘year 28’ can be assumed to have occured, up to the Pre-Cataclysm events. The eruption on Kezan and the departure of the Bilgewater Cartel from Bilgewater port. The ‘cure’ for the Worgen Curse and the destruction coastline in the Kingdom of Gilneas amid the Forsaken siege. A majority of the people of Gilneas are in the process of evacuating the kingdom. The Wandering Isle experiences massive tidal forces and some Pandaren are lost to the sea. Deathwing’s return and the shaking of Azeroth has seen massive changes to the Doldrums as a whole. Kolai Island and Opej’Nor were dragged into the Doldrums, with massive damage to both islands. Opej’nor was impaled by debris cast loose from Deepholm, visible from Silver-Eye Island. Kolai Island was split in half, killing many of the Razorbranch there and driving much of the island beneath the sea. Massive tidal forces saw parts of Silver-Eye Island battered. Several of the docks and fishing huts were destroyed. An influx of refugees and homeless swarm the island as people are dragged into the Doldrums or are displaced from other islands after the Cataclysm. The Gorgeous Boys and the Silverscale Company very quickly move to section off and shakedown these new arrivals. A brief civil war is fought on Kolai Island, with the incumbent leader, Chief Urdo attempting to reshape the social traditions on the island after the massive death toll of the Shattering. Chief Urdo is ultimately usurped and exiled by Chief Sal’do the Clever. Chief Urdo retreats to Silver-Eye Island to martial his forces and plot revenge. Lord Beauregard Springfield the II emerges from Standfast Keep on Sotoras, Lord Springfield, Court Wizard Ezthess Artzruni, and Captain Garrett Cidolfus turn on the villages of Sprinplatz and decimate over half the population, raising them as undead. Lady Abigaile Springfield and her close advisors flee on the last sea-worth ship in the harbor, taking as many people as they can in retreat to the Springfield holdings on Silver-Eye Island. Bishop Farnobius Hand stays behind on the island with those who can not fit onboard the ship. The shifting sea and roiling tides cut off several of the established routes across the Doldrums, while many ships are destroyed, severely limiting the already limited travel in the Doldrums. The already avoided Salt Mire becomes surrounded by twisting whirlpools and rough sea, making it nearly inaccessible. The Isle of Menhirs is shift slightly from where it once was, more of Tordala falls into the sea, and some of the previously inaccessible caverns become open. Alliance and Horde forces become trapped in the Doldrums and make camp on a previously unnamed island chain. After some diplomatic talks, an incident between the two camps sparks into a large-scale battle. The fighting is ceaseless and the island is avoided, although news from the island is scarce, the island has been jokingly named as ‘The Last Battleground’. The massive tower fortress of the Black Finger shudder and some of the walls crumble and plummet into the ocean, exposing a fraction of the fortress. Few approach the black island. Opej’Nor is rushed by eager prospectors, mercenaries, and refugees from Silver-Eye Island, who clash with those who are freshly trapped in the Doldrums. The large island, teeming with life appears to be the largest landmass in the Doldrums. The Doldrums have existed since the ordering of Azeroth itself. While much of the Doldrums is dominated by vast oceans and distant, foreboding islands, and echoes of the past, some measure of normal life has bloomed in recent years. A recognizable civilization emerged a mere thirty years ago, when the township of Springplatz on Sotoras found itself swallowed up in the Doldrums. Sotoras had previously been a colony of Kul Tiras, a forgettable port town that disappeared entirety after being ravaged by a massive hurricane. Sotoras was isolated and struggling for resources after being plunged into the Doldrums by the hurricane and the Lord of the island, Beauregard Springfield II scouted much of the existing doldrums before returning with treasures and in the company of a beautiful young sorceress, Ezthess Artzruni. However, this did not spell an age of prosperity for the island, instead ,the Lord and his new Court Wizard shut themselves in the keep, barely spending time among the townspeople. Leadership in Sotoras fell to the Lord’s young daughter, Lady Abigaile Springfield and her tutor, Joras Vormath. The Lady was too young to lead, leaving most of the duties to Vormath, life the Doldrums was a constant struggle for nearly nine years, battling hunger, overpopulation, and magical tides. Nine years after Sotoras arrived in the Doldrums, the Goblin-controlled Silver-Eye Island was dragged into the Doldrums, much to the surprise of the people of Sotoras. While the Lord remained focused mostly on his own keep, the depressed Tirassians celebrated. Goblins certainly weren’t the best neighbors, but it was better than none at all. Silver-Eye Island had, seemingly at random, bled into the Doldrums from its previous home in the South Seas. Its arrival came after a massive economic crisis, which saw the previous owners - the Venture Company - traded for the Silverscale company, so-named for the new ‘owner’ of the island, Hendle Silverscale. Hendle was eager to make nice in the unfamiliar lands and sold part of the island to the Springfield family- much to the ire of the previous owners of the small holdings. Silver-Eye Island and Sotoras saw plenty of trade between them, although they did not work together formally, there was still some understanding that the two were loosely allied. And that loose partnership saw Hendle Silverscale, his company, and his enforcers, the Gorgeous Boys slowly expand across the Doldrums, pillaging the the Isle of Menhirs, parts of the Salt Mire, and the Black Finger. The months and years came to a profit when the ships traveling near the Black Finger simply disappeared. A similar case occurred with raiders at the Salt Mire, through a single man later washed up on the coast, speaking of some kind of horrible monster with many voices. The warnings were not heeded until another pair of ships disappeared, and the two islands were deemed ‘not profitable’. 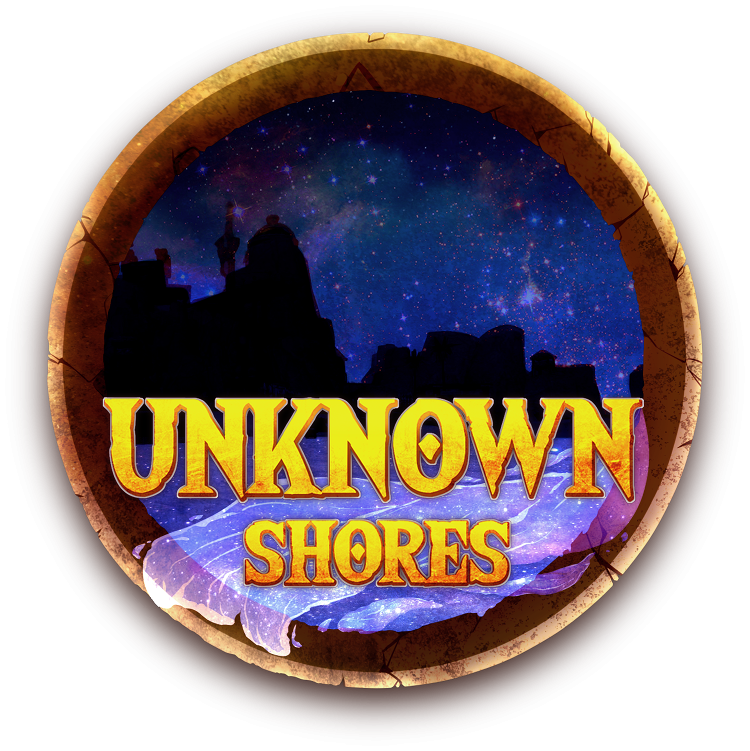 Life began to settle in the Doldrums, silverscale was the home of the rich and the poor, Sotoras began to rise from its depression, and the slow trickle of those lost filtered into the Doldrums and out to the slowly growing towns and islands growing the community, all trapped. Life in the doldrums was one of curiosity, the vast oceans were unexplored, the wealth and want of those around was in extremes of all directions, and each day saw something new on the horizon. In the years before the Shattering radically changed the Doldrums, a group of Highborne settled on the Isle of Menhirs, often butting heads with scavengers from Silver-Eye Island. Additionally, a group of Naga laid claim to Bluegill Arch, enslaving the local Murlocs. Development also began on Sotoras of a new, larger ship to travel the rougher waters of the Doldrums. Who am I loyal to? The traditional factions of the Horde and the Alliance, indeed almost all major factions in Azeroth lack a major presence in the Doldrums. As such, the enforcement of the norms and the laws on the larger continents are not done within the Doldrums. Players on Unknown Shores have access to to both Common and Orcish as spoken languages, in addition to their other racial languages. Players may group, whisper, trade, and make a guild with anyone of any race, class, or creed- and they may also fight, injure, or kill them. Your loyalty is to your own ideals, be them new or old. One of the major tenants in this strange place has always been looking after yourself. It is commonly understood, that the border to the Doldrums expands and contracts, existing somewhere near Southern Kalimdor. Most travelers remember the air thickening with fog and the sky drawing a brackish grey, akin to the shadowlands, before the tropical breeze set in. While some islands were absorbed over time, others were dragged in by radical events like hurricane, tropical storms, earthquakes, or the Shattering itself. Individuals have arrived for a range of reasons, the most common seems to be ocean travel. Entire ships have been dragged into the Doldrums, only to smash on rocks and coral and sink, other times, zeppelins and flying machines shift into this realm, losing power and plummeting into the sea. Shipwrecked survivors are a common sight, awakening on the beaches of many islands across the Doldrums. The less common case occurs via teleportation or summoning, although this has become much more common in recent days. Some magi believe the leylines were shifted in some way after the Shattering, translocating many individuals into the Doldrums. Within the Doldrums, teleportation and summoning magic have proven to be extremely difficult. There are some rare cases of an ocean tide dragging people into the sea, only for them to end up in the Doldrums, or shifting from the Emerald Dream, an Elemental Plane, or elsewhere- only to find themselves trapped. There is no recorded incident of someone leaving the Doldrums and much the same. There is no one on the outside of the Doldrums that appears to be aware of its existence, bar for people rumoring of some malevolent part of the South Seas that gobbles up ships. Attempts have been made to sail to the borders of the Doldrums, only for the ship to find itself sailing back to whence it came. A similar effect occured with a crafty Goblin and a large balloon. Several studied magi found their ability to teleportal or use portals taxing and the familiar routes and regulations held no meaning. The few who have correctly executed a portal have found themselves appearing well into the ocean above or below, sometimes with fatal consequences. Although they have yet to physically exit the Doldrums, many academics are still trying. There are many, many options for players. And ultimately, anything feasible within the structure of existing Warcraft lore and our own is fine. IT IS NOT REQUIRED THAT YOU PLAY A FRESHLY ARRIVED CHARACTER. While a large number of players will no doubt play as new arrivals, we invite people to play as characters already established or trapped in the Doldrums. A resident of Sotoras, a mercenary in Silver-Eye, a Highborne explore on the Isle of Menhirs, a Razorbranch Troll with Urdo- the possibilities are there. Equally, players are invited to play someone who was flung into the mystical region of the Doldrums very recently, either by the events of the Shattering or otherwise. Travel is commonplace in the Warcraft universe and the idea of being bumped off a boat, a leyline, or a griffon and finding yourself marooned on Silver-Eye Island or Opej’Nor or otherwise will likely be the basis for many characters. If players need a question answered about the background of an island or need more information to help make their origins work in the setting, please feel free to use the Lore Q&A thread.